Runbow has received a new release date on Switch following a previous delay. The game will launch via the eShop on July 3. A physical version is also planned for Q3. It’ll include all DLC and two stickers. We have more information about Runbow below, along with a trailer. 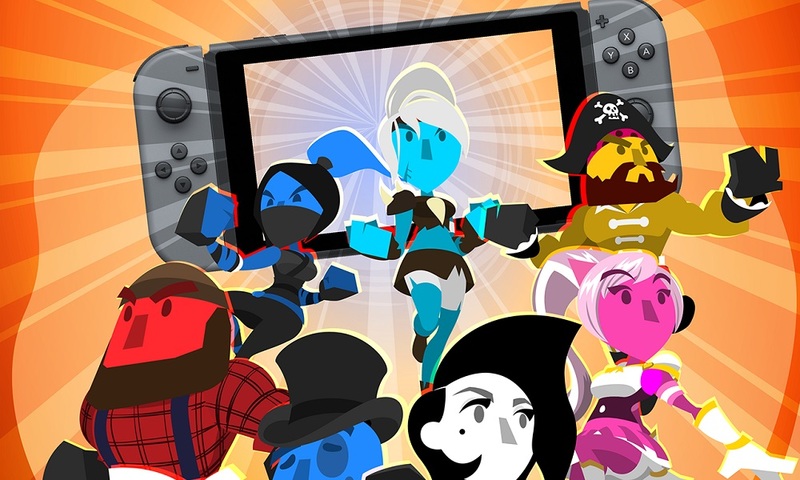 Runbow, and all its multiplayer madness, is coming to Nintendo Switch! The world of Runbow changes with each swipe of the background, so you’ll have to stay on your toes as platforms and obstacles disappear – If you can’t see it, it doesn’t exist. Fast, frantic, and fun for up to nine players, Runbow is filled with tons of modes and content to keep you running back for more. – Go head to head with your friends, locally or online, in Run, Arena, or King of the Hill, for a colourful, crazy competition. Host a Private Game for you or your friends, or hop into an Open Party and take on the world! Tons of costumes and indie guest characters are waiting for you to unlock, including Shovel Knight, CommanderVideo, Shantae, Lilac, and many more. – Save Poster District from the evil Satura in Adventure, and choose your own path through a massive map of over 140 single player levels. – Take on The Bowhemoth, a single, ultra-difficult challenge in the belly of a colossal beast. On your own or with friends, it’s sure to test the skills of even the toughest platforming veterans. – With nine-player online madness or with up to four players locally, five game modes, 19 guest characters, hundreds of levels, and tons of more content all in one unforgettable colorful game, this is the crazy, colour-based platformer you’ve been waiting for! Get ready to Runbow!